Any Favorite Cranberry Sauce Recipes You'd Like To Share? I made a great sauce 2 years ago & lost the recipe. Last year's sauce was mediocre, at best. Any really great ones, out there? 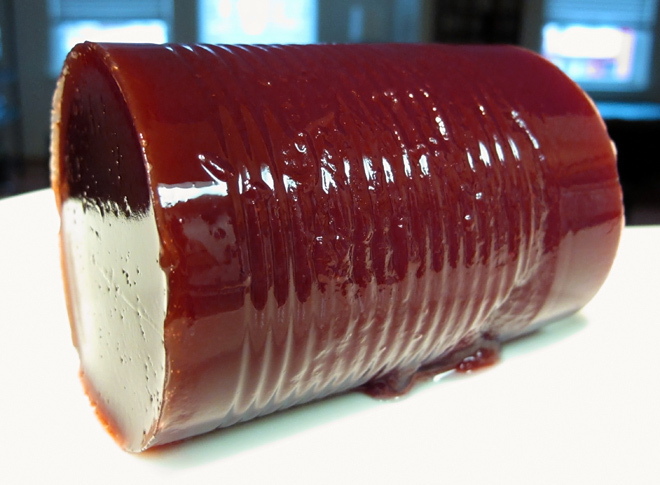 Re: Any Favorite Cranberry Sauce Recipes You'd Like To Share? Nothing fancy. Just the ol' traditional sauce... Cheers!!! mix in food processor then add sugar and refrigerate. Add more sugar to taste. I might try this as well. Boil sugar and water, add cranberries and orange zest and juice. Cook until desired consistency is reached. Bring sugar and water to a boil, add cranberries, return to boil, simmer for 10 min. Usually I add orange zest and use orange juice for part of the water. You can chop up some jalapenos and add them. Whatever strikes your fancy. You can also reserve about 1/2 c. of the cranberries and add them at the very end of the boil for more texture. This is basically my Mom's recipe. Nicely bitter with an underlying sweetness. It's best fresh but with at least a few hours to blend. Put it all in a big pot, heat gently until sugar has dissolved, then boil for 10 mins, transfer to mason jars and can accordingly. Makes 3 pints. I've also made a variation where I subbed 1/2 cup of reposado tequila & 1/4 cointreau for the port. Both are good, and were liked by everyone at the table, but I think the port version is the better of the two. If I recall, the original recipe called for 3/4 cup sugar, but still plenty sweet with 1/2 cup. You might want to do both, or a double batch of the port version - great with leftovers! I usually use one of the normal recipes like denny posted, but this year, I am going to steal the Cranberry Sauce recipe from Chuckanut Brewing company up in Bellingham. It was posted on craftbeer.com. Unfortunately, I can't get a hold of their alt, so I think I am going to use a combination of my Brown ale and my Porter in my recipe. The Cranberry Sauce is number 3 on the list, and I think I might try the Smoked Porter Apple Crisp (4th) sometime this winter as well. It gets super think and gelled. Very nice. Oh, and the recipe for my father in law is - open the can and dump it into a dish, leaving it in can shape. It's a thing of beauty! I grew up thinking cranberries were can shaped, that's the only form I saw them in until I moved out of my parent's house. I made the cranberry witbier sauce from Sean Paxton's site http://www.homebrewchef.com/CranberryWitSauce.html and it is tasting really good. I added some toasted nuts and some raisins to it for texture. And a touch of chili pepper. Yep, me too. Although my mom would usually slice up a portion of the cylinder for a little extra flair.